At the beginning of my experience as an American Indian Foundation (AIF) Clinton Fellow, during orientation in New Delhi, I was given a single piece of feedback that really resonated with me. I was told that I rarely, if ever, showed any vulnerability throughout all of the various team building and bonding activities, and even six months prior during my interview for this fellowship. I was puzzled by this critique because to me this was a good thing – this meant I was a winner, a strong leader without weakness and most importantly, someone who can solve problems without putting in too much emotion. But in reality, this was something much deeper and I needed some time to let it sink in. The pivotal moment of understanding took place a year later, over the last few weeks as I said my farewells. While I really meant “see you later,” I knew realistically that seeing all of the people I met through and going through the same experiences again would be near impossible because, well, life happens. People will change, places will change and quite frankly, nothing will ever be the same as it is right now. But goodbyes and farewells were always easy for me because I always forced myself to believe that there’s always a tomorrow. However, the difference between moving from Connecticut to New York or from college to your parents’ house and leaving India for the foreseeable future is vast. In ten months, that difference became an insurmountable level of emotions ranging from excitement, frustration, anxiousness and a level of sadness I’d never felt before. After 22 years of never being in India, the rawness, the newness, the abundance of culture and hospitality and the innate feeling of “coming home” consumed me. Every little experience, conversation, or site was an enormous deal for me. 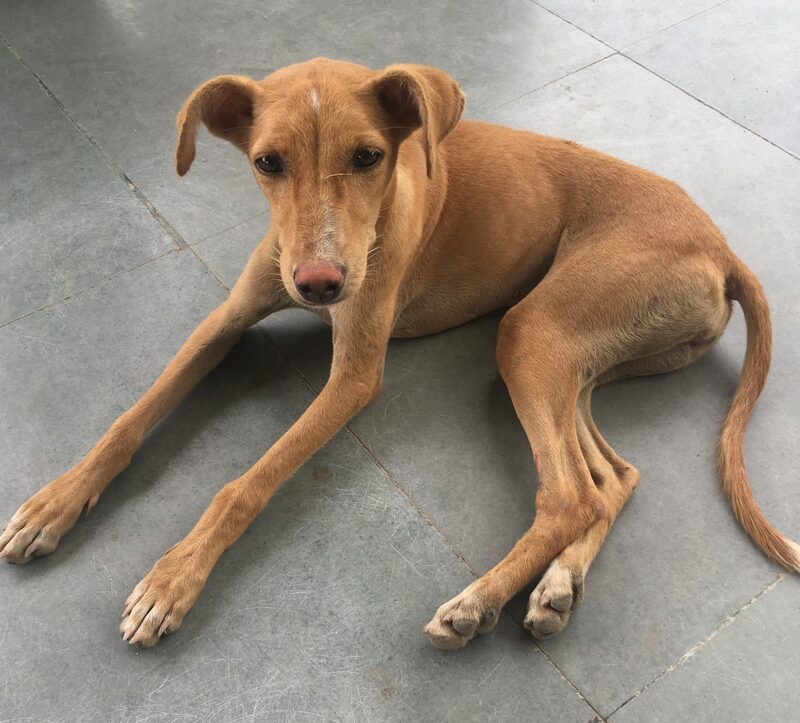 From every stray dog I had the honor to call over and pet to every home I was invited to in rural Rajasthan for chai, I felt as if this perfect place was crafted just for me and I hated that I took so long to experience it. But the positive aspects weren’t what kept me intrigued about this new life. Instead, it was the many challenges I faced, starting with finding an apartment that didn’t judge me for drinking an occasional beer, being unmarried or having an omnivorous appetite. Why does an apartment complex I’m willing to compensate for care about how Hyderabadi mutton biryani is my favorite meal of all time? Luckily, I found a place that was managed by a very understanding couple. The next challenge was the culture shock in the office. Alternate six-day work weeks, micro-management, and changes made in the blink of an eye led me to believe I’d never make it out of this place in one piece. Finally, at the end of June, I struggled with the realization that the work I aspired to do and the relationships I wanted to cultivate felt incomplete, but the time I had left was coming to a close. “Men don’t cry” is thrown around like sage wisdom but coming from a guy who has tried to never shed a tear, it’s bullsh*t. What I learned going through these really tough experiences was how vulnerability was the key to my success today and that it will continue to be the key for my future. It was me watering up in front of the artisans as I said my final goodbye that warranted them to open up fully and tell me that they’ll miss me every day, trust me without fail and hope that I’ll come back to them soon. 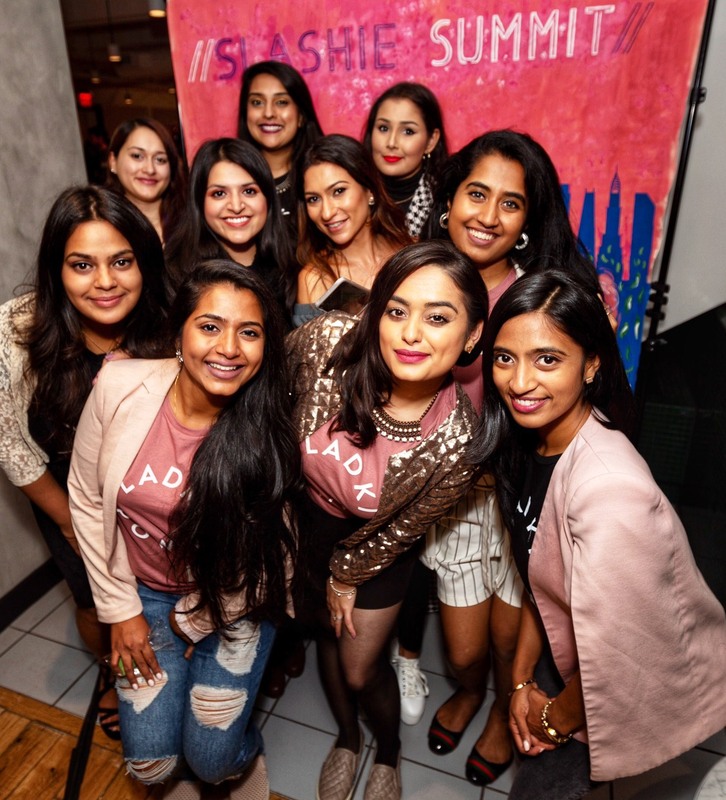 It was from the harsh arguments I had with my fill-in mentor, Meghna that I realized how much I care about the work I was doing and how much she cared for my growth. It was my heart sinking when I found out that I was unfit to do field visits due to some external stakeholder who had more to gain than I had to lose that led me to take control of my work and get things done with my own time and resources. It was my proud frustration when I overheard an Uber Pool driver blatantly tell another passenger that I wasn’t a real Indian because I could barely speak Hindi that forced me to speak as much Hindi as I could every day – voh driver abhi uska shabd kayinge (my Hindi improved, pakka)! It was the rivers I cried due to the many see-you-laters that showed me how important my friendships and family were in my life, regardless of their long or short tenure. 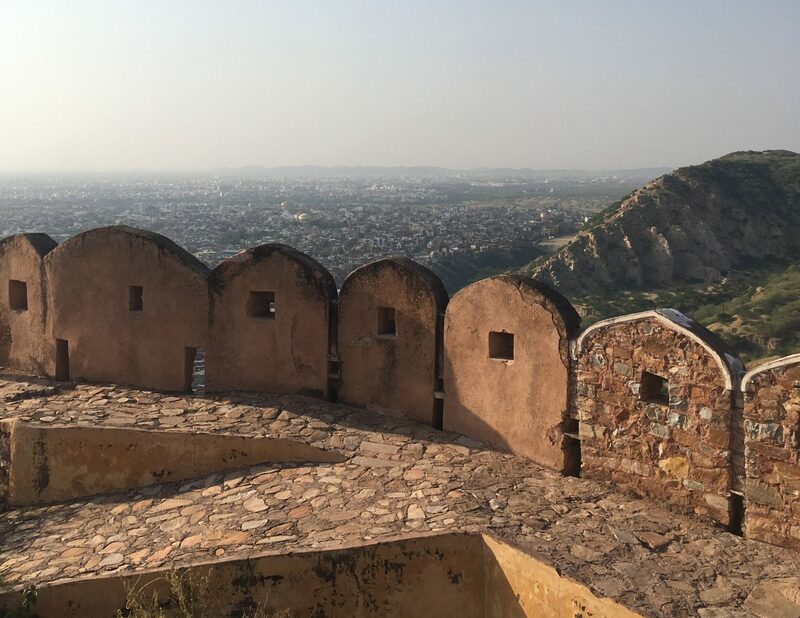 India made me vulnerable like I’ve never been before and it was this vulnerability that made me feel like a human first and a professional later. It changed the way I perceive my life and gave me confidence in the idea that making mistakes, showing weakness and getting rid of my imposter syndrome is the first step to becoming the servant-leader I need to be if I want to succeed in this space or just about anywhere else. A previous version of this article was originally published on September 12th, 2018, by the American India Foundation. 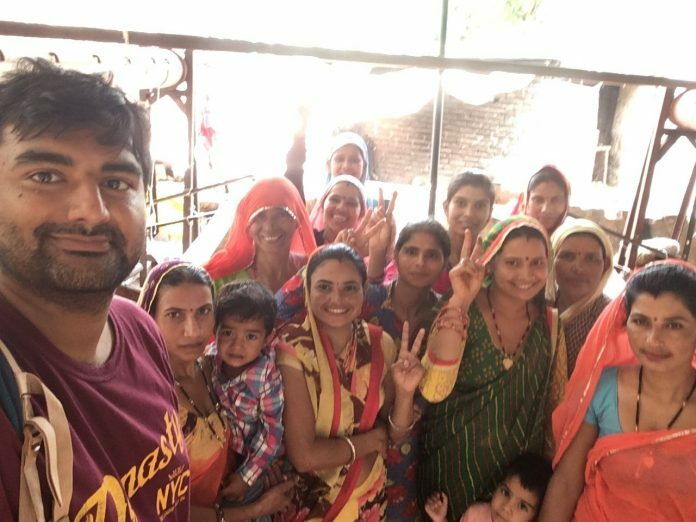 AIF’s William J. Clinton Fellowship for Service in India builds the next generation of leaders committed to lasting change for underprivileged communities across India while strengthening the civil sector. Vipin was born in India but hasn't spent time there since his move to the U.S. at age 6. He always understood the magnitude of change the country has gone through in the last 21 years, but was thrilled to experience it first-hand as an AIF Clinton Fellow this year. At his host placement with the Jaipur Rugs Foundation, he applied his skills in digital marketing and technology to help bridge the gap between untapped rural artisans, skills building, and leadership training for sustainable livelihoods. 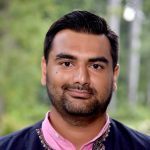 Before becoming an AIF Clinton Fellow, Vipin had the unique experience of working directly with AIF as a volunteer with the New York Young Professionals Chapter for four years to raise funds and awareness about AIF's programs among young South Asian professionals in the city. One of his goals as a Fellow was to see if what he had learned as a physically distant volunteer, would effectively translate to the work required on the ground. Another goal? He was eager to try as many regional varieties of biryani as his ten months would allow him to stomach and see if his current favorite, the hometown Hyderabadi variant, could possibly be topped.